Another great way to connect! Our new official newsletter was first distributed in early 2018 to all our friends and supporters. Its goal - strengthening the connection between the members of our global community, so that everyone involved will regulary recieve the latest news and updates regarding the organization's activities. In addition to its publication here on the official website, the newsletter is distributed regulary to our subscribers via e-mails, social networks and also as printed copies at our events worldwide. 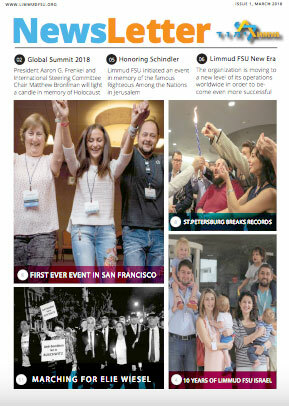 a part of our global Limmud FSU family? Our fourth - March 19’ - edition of official newsletter includes all the info about our latest activity in the past 6 months. Among them - LFSU Ukraine, Canada, St.Petersburg, Israel and many more! October 2018 issue of our official newsletter features reports and updates about our exciting events since the summer - among them - Sydney, Sighet, Belarus, Vienna and many, many more! 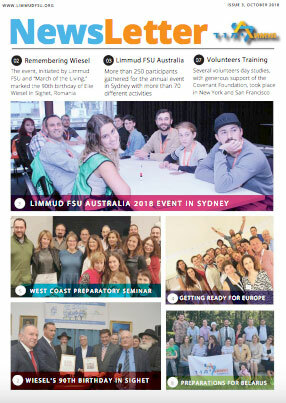 The summer - and the second issue of Limmud FSU newsletter - features amazing stories from different hotspots around Limmud FSU' universe, including locations such as Moscow, Poland, Jerusalem and New York! 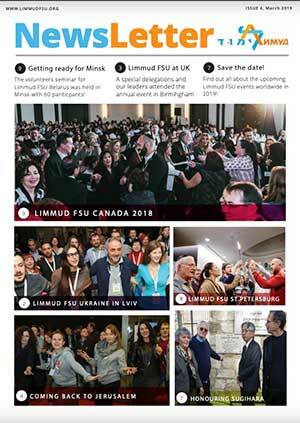 First ever issue of Limmud FSU official newsletter, published in March 2018! It includes full and profound review of all the amazing events that took place in San Francisco, Eilat, St. Petersburg, Romania, Odessa and many more surprises!